This is a die-cut Burdsal’s Quality Paints porcelain sign. 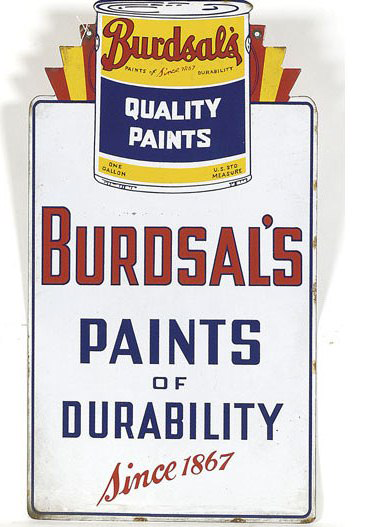 This particular Burdsal’s Quality Paints sign is predominantly white with red and blue text. It reads, “Burdsal’s Quality Paints, Burdsal’s Paints of Durability Since 1867” and features a colorful can of Burdsal’s paint at the top.